How much campaigning do you think is going on behind the scenes for Yoshida to return to Japan. Personally I do NOT hope that Yoshida will come back to Japan even for a race, haha. My biggest hope always is that he will stand at a major stud in Kentucky as a rare grandson of Sunday Silence!!!! He shouldn't return to Japan. I was thinking of him 'returning' just for the Dirt Champions Cup...and then coming back to the US. Where can I watch Almond Eye's race, Tachyon? There can be a Japanese link on youtube. But this may not be a fixed link and we won't know it until the last minute. And I'm not sure we will see a live on the youtube channel below. TVG is showing racing from Japan tonight, so I'm pretty sure they'll cover her race. 3c 1. JINAMBO (Deep Impact x Apapane) won his 2yo debut 16 months ago, injured, had his second start Saturday and won over 2000m. A very exciting horse if remains sound. 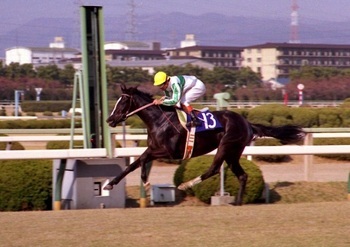 Sire and Dam both JRA Triple Crown winners. Can confirm that Dubai Racing is showing feed from Japan. Soft spot for Lucky Lilac here.... I at least want her to run well! Congrats to Almond Eye! That was a very impressive charge she made from the rear, coming wide down the middle of the course to sweep past the field. 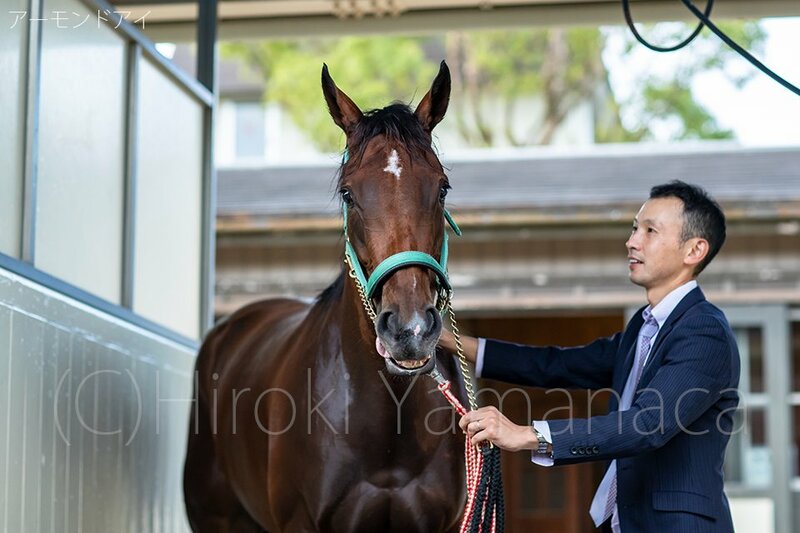 Lord Kanaloa's fee might go up next year. ALMOND EYE becomes the 5th winner of the JRA Fillies Triple Crown and the first since GENTILDONNA in 2012. Won the third leg, the G1 Shuka Sho with a good bit left in the locker. It surely was - ! Yeahhhhh they were never going to catch her. That was ridiculously impressive... Mikki Charm hung on, what a race she ran! And Cantabile up for third... Primo Scene & Lucky Lilac just behind in the bunch. ETA: GDI she's lame in the left fore. She didn't want to walk with the scarlet-coated handler and stopped several times, was a little more willing when her own handlers took over but lurched a few times and Lemaire looked obviously concerned. They stripped off all her tack & winner's banner and led her off. She was clearly limping. I thought I saw her take a bad step just as she started to speed up. She is a very brave girl. Just a shudder as she got going. I would love to see her take on the boys in the Japan Cup. She is so cute and will be unbeatable. She had heat distress, legs are fine according to Trainer. He said that ALMOND EYE showed some signs of light heat stroke immediately after the race but seemed fine now (when he talked, which was about an hour after the race) No mention of any leg issue by him. Thank god... the way she was tossing her head and alternately refusing to move/lurching around, I really thought she'd injured herself and it just took a bit for the adrenaline crash. Okay *now* I can look forward to the Japan Cup! If I'm reading twitter correctly, it sounds like Soul Stirring has a knee injury (small fracture/chip?) and will be turned out for three months. Yes It sounds like her connections still hope that she will come back next year after the injury. Personally I don't know if she should stay in training next year. she can be a great broodmare. Yeah, I haven’t closely followed Soul Stirring’s career but IIRC she just hasn’t shown she wants to run in her last few races. Am I correct?